“Children must incorporate diabetes into their daily life, but it is not easy at the age of 4-6 years old. To include the illness into their daily life activities and avoid stigmatization have been the key factors that pushed us to create this story” Norma Grau, nurse and author of Teo The Duckling, Spain. “The hygiene kit is in line with the standards of Minimum Initial Service Package (MISP) for Reproductive Health in humanitarian crisis. One kit costs 650 pesos (15 USD). We see the need to improve the socioeconomic status of the young pregnant mothers as this is linked to their disaster preparation as well as their overall welfare. I remember one mother said how would they be able to think about disasters if their present needs are not even addressed”. Reigner Jireh D. Antiquera, nurse and CEO of AYNLA, Alliance of Young Nurse Leaders & Advocates International Inc. (AYNLA), Manilla, Philippines. A special contribution for emergencies is provided to pregnant adolescents (15 to 19 years old) facing the consequences of the typhoon Haygan in Philippines: Emergency Kits and Maternal Health Trainings for Young Mothers living in Smokey Mountain, Manilla. Distribution of set kits, continuous training sessions and consultations with local nurses. Mental Health remains unrecognized in many places. Nurses in Quebec have elaborated therapeutic guidelines to ensure adequate and qualitative care for these patients. The guideline on consumption of psychoactive substances has been adapted to the local context of mental healthcare in Kinshasa, Democratic Republic of Congo, with the contribution of Millennia members and mental health experts of the Centre Neuro Psycho Pathologique of the University of Kinshasa (CNPP/UNIKIN). A virtual Nurse for women living with HIV in Canada to improve treatment adherence along their lives. Short videos and online counseling provide peer to peer communication. This program provides continuous capacity building to nurses through the development and use of short videos. The methodological manual is published to assist nurses to elaborate their own videos. 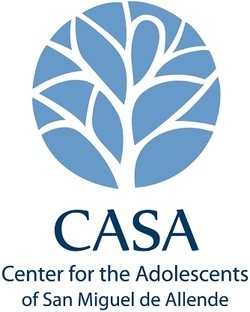 Available in Spanish, the manual and videos are planned to be included in online courses for the Centro para los Adolescentes de San Miguel de Allende A.C. (CASA) in Mexico, and later on, in Central and South American countries. The online course on “ICT for Midwifery” introduces the participant to key information and communication technologies (ICT) and applications adopted by the healthcare sector, focusing on those used to monitor, inform and improve the maternal and infant care provided by healthcare professionals, and midwives in particular, in Latin America. The online course consists of eight modules. The first five modules constitute the core of the course, covering key topics of mHealth, telemedicine, eLearning, multilingualism, internet tools, and research. The ICT for Midwifery course includes references to relevant publications in Spanish and English, a glossary and a list of acronyms. The primary benefit of telemedicine stems from facilitating remote access to Health Prevention and care. With ePrevention, the WeObservatory contributes to field trips, local investigations in communities and telemedicine courses made available to remote communities to train healthcare professionals on tropical medicine, treatment of dengue, HIV and leishmaniasis. 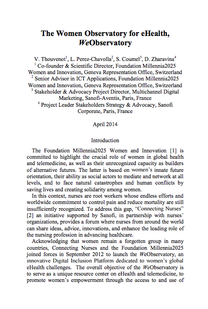 A joint publication is planned in 2015. A new (Spanish language) website about Sjögren's syndrome to help patients living with this disease as well as other immune diseases. The team behind the website come from more than 10 medical specialties and share and educate via intranet on prevention of these autoimmune diseases. Due to the conflict situation that arose in northern Nigeria, this project plans to product 50.000 Clean Birth Kits, which will be distributed among pregnant mothers until 2017. Traffina Foundation has distributed Clean Birth Kits in Kobo to pregnant women during a field visit on 4th February 2015. Through an innovative approach, Traffina Foundation addresses the identified challenges through use of Mobile phone interventions targeting pregnant women who are victims of dangerous practices by sending out weekly bulk SMS on important pregnancy information's and dangers of harmful practices as to save women's lives during childbirth. “With not so expensive methods we achieve good results in prevention and treating Diabetic Foot problems which are very important for developing countries such as Kosovo”. Réseaux internationaux et veille documentaire multilingue pour renforcer l'interprétariat communautaire en 28 langues. The Our Lady of Fatima University, in Valenzuela City, Philippines, is investigating the views of the elderly regarding lifelong learning through telehealth technologies. 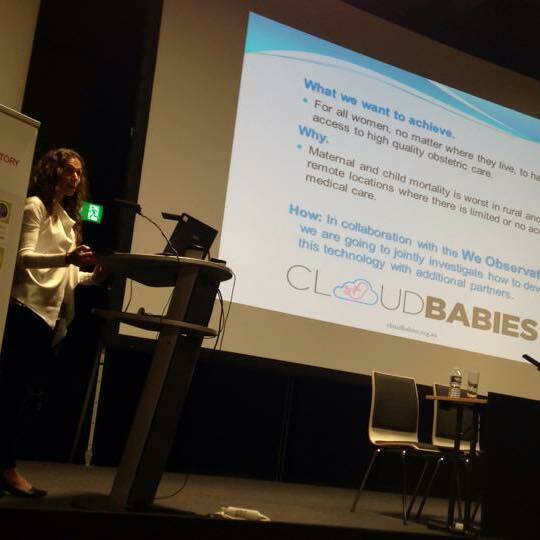 With the WeObservatory five additional studies address internet use and gaming tools for healthcare among aging women and pregnant women in Filipino communities.The results of the studies are planned to be presented in international conferences in 2015. Two nurses in Quebec, Canada, develop a system of communication using Skype that allows residents, regardless of their level of cognition, to virtually interact and bond with families and loved ones across generations who live anywhere in the world, without leaving the comfort and familiarity of their own room. They share their experience and recommendations in a virtual guide in French and English. The WeObservatory is supporting the development of innovative healthcare solutions that address multilingualism, a key barrier to women's access to healthcare information. ​UniversalNurse Speaker facilitates multilingual communication between nurses and their patients in six languages. 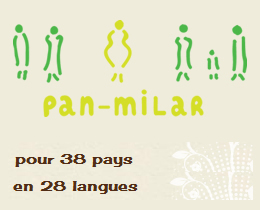 A new multilingual mobile application providing medical translations on pregnancy, childbirth and overall maternal health in six different languages, that facilitates communication between midwives and pregnant women. WePatients provides information on eHealth projects focused on patient empowerment along the stages of life, as well as resources, publications and patients' stories in three languages: English, French and Spanish. 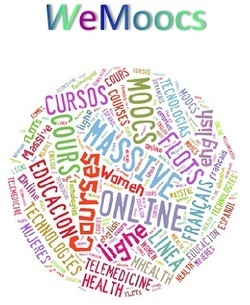 ﻿In order to expand education and learning, the Intelligence MOOCs Commons for Women and eHealth of the WeObservatory (WeMOOCs) provides an annual selection of free Massive Online Courses (MOOCs) in English, French and Spanish, developed by the most famous universities and academics. 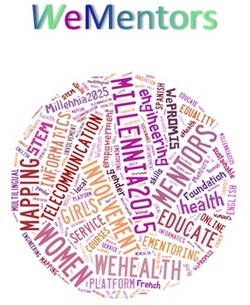 Mentoring is a recognized powerful instrument to motivate girls to study engineering, telecommunication or informatics for health. Women reaching high-level positions provide an incentive for young girls by giving the positive image of exciting jobs.